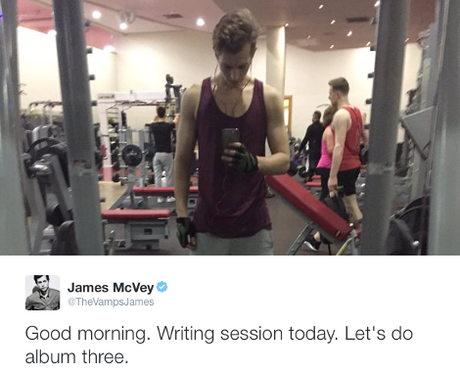 The Vamps' James sent the Vampettes into melt-down when he said that album three was on its way. 4. The Vamps' James sent the Vampettes into melt-down when he said that album three was on its way. Not sure that he will get much writing done in the gym though... not that we're complaining about the #GymSelfie.